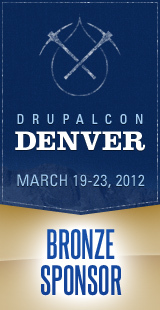 We are excited to present a wide range of session proposals for the upcoming DrupalCon Denver. If you take a look at the proposals our team members you will see that there is a little something for everyone, from very technical sessions, to sessions on using Drupal for Mobile applications, nonprofit and nongovernmental organizations using Drupal, and how to use Agile not only to run your projects but also to run your organization. These sessions are born out of our experience and expertise on these topics, as well as our passion to share what we know with the community. Take a few minutes to look over the proposals and cast your vote. We hope to see you at DrupalCon Denver, and empower you and your organization with one of these excellent sessions.